With our good friends over at Hybridplattform, we are planning an event around the Quantified Self. While we are working out the details, let us know if you want to contribute. After we have mostly looked at the big picture in our series on the Quantified Self, we think it’s helpful to have a very practical, in-depth look at one of the current QS apps out there, The Eatery, to see some of the core principles and ideas behind QS in action. After looking mostly at the big picture in our series on the Quantified Self (QS), we think it’s helpful to have a very practical, in-depth look at one of the current QS apps out there to see some of the core principles and ideas behind QS in action. Your body is the ultimate interface problem. Sometimes, it just doesn’t give you the feedback you need. They are creating products to provide feedback loops to the things we’re doing with our bodies. Their first app – they labeled it Massive Health Experiment 01 – is called The Eatery and wants to help people eat better. Tracking food intake is a typical QS area and nothing new. Doctors and nutritionists have known about the power of feedback loops for a long time. Just tracking what we eat can change our behaviors. (Observer effect, anyone?) Knowing that somebody like our doctor will see our records and ask questions amplifies the effect. No wonder the app stores are full of diet diary apps that want to take the food journal to the 21st century. So far, most of them haven’t managed to keep me using them. They are either too simple to give any meaningful insight or too complex by tracking exact calorie numbers etc., thus taking too much time to record a meal. The key is the fine balance between easy and fast recording and the provided feedback and insight. Only then can we expect reliable long-term results. This balance is exactly what The Eatery is aiming for and after using the app for the last couple of weeks I’m really impressed by how good of a job it does. At the core of The Eatery is a photo of everything I eat. That’s the social object – if you will – around which everything else is built. So, when I sit down to eat, I take out my iPhone, open the app, point the camera at whatever I’m eating and take a picture. Then it shows me where I most probably am (I can correct it if it’s off), I can choose the size of the meal (not in grams but in categories like “a little” to “you will be very full”), I can label it (with the help of autofill that shows me labels I entered before) and finally I have to rate the food by dragging the photo onto a scale between ‘fit’ and ‘fat’ that will result in a percentage rating for my meal. That’s it. It’s mostly dragging with your finger and typing a few characters. After a couple of days, I got pretty fast with capturing my food. And getting feedback on the food intake keeps the motivation high to fill out all data points. One of the big problems we have with food is that our knowledge about it can be very vague. So just letting me rate my own food might not be such a good idea. Even if I know pretty well which food is healthy and which is not, I might be tempted to cheat just a little. That’s where The Eatery’s anonymous peer-review comes in. My food is not only rated by me but by 12 to 16 other users. Likewise, I will rate the food of others. Right after I add my meal (or at anytime in the ‘Fit or Fat’ tab of the app), The Eatery shows me photos of food along with the other users’ descriptions, but without their names. I simply drag the photo onto the scale to cast my vote. It’s very easy and super fast but has some amazing effects. From this article about The Eatery in Co.Design, Massive Health is also doing some amazing work behind the ratings. For example, they let nutritionists rate some of the photos and compare their rating with yours to learn about your knowledge of food, which will help them provide you with better insights. The app also shows you the same meal again, from time to time, to see how consistent you are in your ratings. All of this creates more data points, which in turn leads to better feedback. So far, Eatery’s feedback is pretty nice. It emphasizes the week as the timeframe for feedback. Massive Health thinks that we shouldn’t focus too much on a day-by-day or an even closer meal-by-meal comparison. This would put us under too much pressure und might weaken the long-term positive effect. The app’s feedback tab first shows the average rating of my food for the ongoing and for last week to put the two directly into competition. It shows a graph of my average rating per day throughout the week, and then displays the best and the worst meal of the week. I can also access some insights about the places where I’m eating so that I might learn where I tend to eat unhealthy. At the end of the week, The Eatery creates the week’s report with all kind of stats. For example, it tells me how I have eaten compared to the other Eatery users. It also shows me how healthy I eat on average throughout the day. After using The Eatery for a couple of weeks, trying to record everything I eat, I can definitely say that it works for me. I’m much more conscious about what I eat. And that’s in equal parts due to recording my own food, getting the ratings for it, rating other’s meals, and the insights and feedback I get from the app for my own eating habits. I also find myself saying crazy stuff like “Damn, that pasta never made it above 45%.“ All of a sudden, I have a new metric in my life. I know that fresh fruit will always rate above 90%. So yes, there have been moments where I bought apples to raise a low percentage, aka an unhealthy day. That’s just fine with me. Whatever helps. In my opinion, Massive Healthy has done an amazing job finding the perfect balance between an easy-to-use app and the feedback and effect it provides. It is a great example of how to facilitate feedback loops and how to bring about long-term behavior change. Personally, I think the app is a benchmark for other QS apps for how to choose the needed data points and not just tracking everything. It is fuzzy by design because it is focused on the person, not the data or the food. For the record, I haven’t talked about the social aspects of the app. The app allows my Facebook friends to follow my account to see and comment on what I’m eating. I guess this could be another help to be more responsible about our food and inspire each other. I haven’t gone into this because right now only about five friends have installed the app, and only one actually uses it. I simply have no observations so far about the effect the social aspect has. But I really hope that this will change in the future when a lot more people start using it. It’s well worth it. 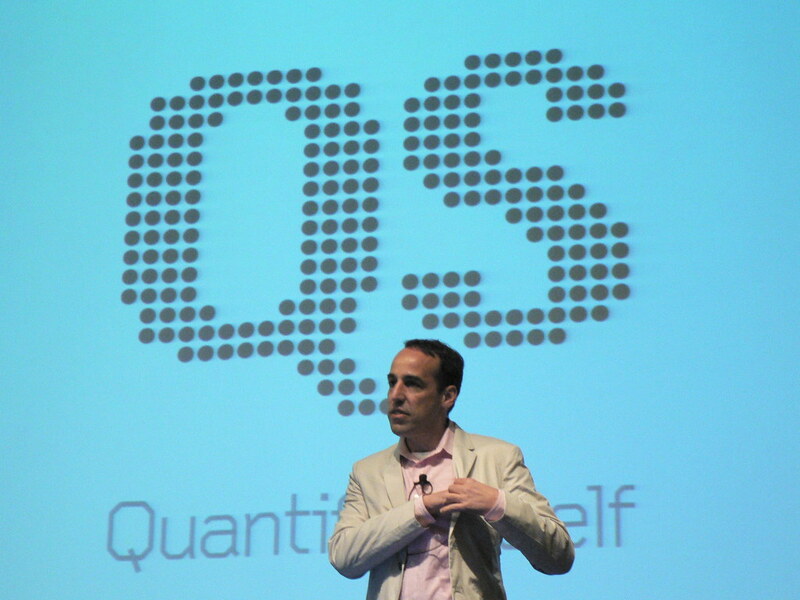 How the Quantified Self might change our lives. A 2020 scenario. We’ve recently been doing a number of interviews on the Quantified Self. One of the questions that keeps popping up in these interviews is: Where will this lead down the road? In other words, how will our life change if we continue on this path? We’ve recently been doing a number of interviews on the Quantified Self, the trend of capturing behavioral and body data for analysis and sharing. One of the questions that keeps popping up in these interviews and everyday conversations alike is: Where will this lead down the road? In other words, how will our life change if we continue on this path? It’s a loaded question of course, and has many aspects – of societal change, the perception of the self, business models, privacy, ownership and control, just to name a few. So I’m going to engage in a little speculation and write a scenario of an everyday scene. Please think of it as playful exploration, a thought experiment rather than full-blown forecasting scenarios or predictions. Not really, no. However, reading the media reports and talking to the critics of self-tracking, one could get the impression that something like this is the worst case scenario they have in mind. We hope and believe that a scenario like the following is much more likely than that extreme case. Here’s the scene: It’s 2020. Eight years from now, the thing called “Quantified Self” has become integrated in our daily lives. Nobody really mentions it anymore, it’s just become normal. Mara is on her way to the doc for a quick checkup. Last night she had been out with her friends when she felt a little dizzy. Through the heartbeat sensor in her necklace, her phone had picked up the change of her pulse and reacted immediately: It asked her a couple of questions to make sure she was ok and no external help was needed, and asked if she’d like to see the doc just to make sure she’s ok. “Better safe than sorry,” she thought, and punched the OK button. Matching her calendar with her doc’s, the Medical App coordinated and confirmed an appointment for the next morning. Sitting on the subway, Mara listens to an audiobook while preparing for the doc. The doc’s software, as usual, is preparing a small dossier for him so he’s up to speed on her health. She confirms his requests to pull together some data from her body sensors to check for any major changes over the last few months as well as her nutritional and food logs. Through her app, the doc’s software also asks if she had been exposed to a lot of stress. She can’t help thinking of the red warning light on her banking app – it had been a pretty expensive month, and her salary was still overdue. “Medium stress,” she tells the doc’s software, and prepares to leave the subway. “Anything else we should know?” asks the software while Mara walks towards the doc’s building. She considers for a moment, then remembers that her DNA analysis had shown a slightly above-average predisposition to high blood pressure. She was very conscious of that kind of data and wouldn’t give it to her health insurance – she had heard rumors they might decide to put some exceptions on her health coverage and wouldn’t want to take that risk. “It might be relevant for the doc, though,” she thinks as she sends that part of her DNA analysis over to the doc. Entering the doc’s practice, the friendly young woman at the reception asks her to take a seat in the waiting room for a few minutes. 10 minutes later, Mara is leaving the practice. On her way out, the receptionist says goodbye, remarking: “I’ll sync some background information about improving sleep and about blood pressure with your phone. There was just a study that shows a connection to eating greens.” Laughing, she adds: “Well, not a whole lot of news there, right?” Plugging in her earphones, Mara heads back to work. Nothing to worry about. It’s good to know for sure. As scenarios go, this one isn’t terribly exciting. No blood, no action, right? That’s for good reason. One, we think about technology and its implications for society – not medical issues. So rather than making up something spectacular and quite possibly wrong, I went for a false alert here. Forgive me for this not-so-cunning literary device. Two, it’s that element of the mundane, the fact that the whole thing is really quite unspectacular, that is the point here. Today, the notion of consciously tracking our behavior seems odd, almost freakish. It seems something for nerds, or those with the medical need to track. But fairly soon, as networked sensors become ubiquitous and data plans on smartphones become really, really cheap, this is going to change. We’ll look back at today and wonder how people didn’t freak out over not knowing if something was wrong, and over not having an early detection system in place for emergencies. All this is, of course, just a matter of getting used to new circumstances. It’s in the very nature of change. In a recent interview, we were asked why dig into emerging topics. It’s quite simple, really. We’d like to help shape emerging trends for the better. To make sure that user rights are respected in whatever is built by the folks we work with, we want to be on top of stuff. Because oftentimes, even the big decisions are made in a moment during a conversation, sometimes without that much deliberation. We expect of ourselves to be able to make a good call in that moment. To make most of the near future, in whichever role we can. By the way, we’re not the only ones engaging in speculation about the future of the Quantified Self. For a slightly different take – that’s also better written – we recommend Cory Doctorow’s short story ‘The Things that Make Me Weak and Strange Get Engineered Away’ from his collection With A Little Help. Author PeterPosted on 18.01.2012 12.02.2013 Categories Quantified SelfTags medical, qs, quantified self, scenario1 Comment on How the Quantified Self might change our lives. A 2020 scenario. 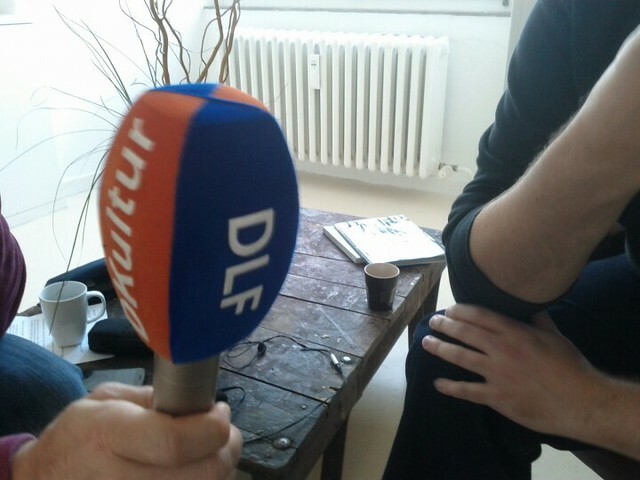 Christian Grasse interviews us for Deutschlandradio Kultur as part of a big feature about the Quantified Self. The feature aired last night and is now available online. Christian Grasse interviewed us for Deutschlandradio Kultur as part of a big feature about the Quantified Self. The feature aired last night and is now available online in German: Die Vermessung des Selbst. The interview was good fun, particularly since we got a chance to really dig into the topic and bounce ideas with Christian, too. The mp3 version is about 30 minutes long. There’s a full text transcript of the interview, too. Tracking our behaviors and our body data means tracking the most sensitive kind of data. This is the very thing the privacy debate is about: Health and location data. So let’s think about this. This article is part of our series on the Quantified Self. Quantifying ourselves means tracking the most sensitive kind of data: Our behavior and our location. The conversations we have on a day-to-day basis about body tracking and the Quantified Self clearly show that most people are acutely aware of just how sensitive this type of data is. In fact, privacy implications tend to be one of the first issues to come up. And this most certainly isn’t just an exaggerated reaction, but rather the sensible thing to think about. But let’s take it step by step. In theory, tracking and “optimizing” ourselves lead to better life decisions – in other words, to be more ourselves. However, disclosing exact data about our bodies and our whereabouts makes us vulnerable. The potential for abuse is immense. What kind of data do we capture? This is largely determined by the types of services and devices is user. Where is the data captured? In most cases these days our data sets are stored in the cloud, not locally. This makes it easier to handle and backup, but also more hackable and commercially exploitable. In most cases, the cloud is the right place to put this data, but I’d imagine there’s a business case to be made to allow users to store data locally. Some people might even pay a premium. How do we share our data? The spectrum ranges from publishing our data sets in full, publicly and non-anonymously (this is roughly where Foursquare is), to highly anonymous aggregated data (medical data). More on that later. And of course: Who is interested in our data? There are quite a few players out there for whom our data is highly valuable – often in a straight-forward financial way. Marketing departments are obvious in this context, as behavioral data creates opportunity to target potential customers, and build relationships. This could be used in “white hat” marketing, ie. in non-critical ways that actually creates value for consumers. It could also be done “black hat”, ie. in abusive ways. Think data mining gone awry. Researcher of all flavors are interested in the kind of data sets created through self-tracking. Governments might be tempted by location and mobility data, and try to match social graphs, location overlaps, group behaviors. Image by Kevin Dooley , licensed under Creative Commons Attribution. Insurance companies might see behavioral data as gold mines. Depending on your country’s legal and social security framework, health insurances might charge customers differently depending on their fitness regime, or smoking behavior, or regularity of their heartbeats, or the number of drinks per week, or even the numbers of bars visited. Maybe the types of meals eaten and calories consumed, or body weight. In this particular context the possibilities for use and abuse are endless. While many of us have gotten used to sharing some aspects of our social graphs online, behavior data might be a different beast altogether. This isn’t just a matter of degree, either. Here we have such clear abuse scenarios that insisting on control over our data simply becomes commons sense. Take Facebook for example. Recently, the company introduced what they call “frictionless sharing“. What that means is that all kinds of apps and services share your activity on Facebook – which song you’re listening to, which articles you’re reading, what you comment on etc. While the announcements drew quite a bit of criticism, we can only assume that the increased sharing activity will serve the company’s goals well: It will create more engagement data, at the cost of privacy and control. In other words, at the cost of agency. What this means for companies operating in this field is this: It must be absolutely clear that they never, ever share your behavioral data with anyone without your clear consent. More bluntly: If you don’t actively share your data with anyone outside the company, they must not do it. Here I’d even go so far as to suggest thinking about worst-case scenarios: Maybe it even makes sense for some companies not to even store your data but instead save it on the client side, so that they could not even be subpoenaed into giving up user data. Who owns our body data? Now here’s a question that’s both very simple and incredibly complex. As a guideline, the ideal we should always strive for is: We do! Nobody but ourselves. However, it’s of course a bit more tricky. The service provider will need some of the data for their business case. Expect not to get anything for free. As the old internet proverb goes, you either pay or you’re being sold. So we have data ownership and usage rights on one hand, and then we have data portability. Let’s say we upload our running data into Runkeeper, track our meals with The Eatery, our sleep patterns with the FitBit or the Jawbone Up, and our social life through Foursquare. That’s already quite an array of services for even a basic tracking setup. If history has taught us anything, then it is that web services don’t live forever. So we need to be able to get our data back when we need it. Better still, we should be able to move our data sets from one service to another, combine and mash them up, and allow different services to access our data in ways we can easily control. Easy is key here as we move towards mainstream adaption. A simple data dump won’t necessarily do – the data has to be structured, maybe even standardized. Only then can we use it in new, interesting ways. A hypothesis: Collecting behavior data is good. Sharing behavior data is better. Bigger data sets allow us to derive more meaning, potentially even to create more data from what we have. The kind of data we talk about becomes immensely interesting once we start thinking in terms of scalability. Think two people comparing their fitness data is cool? A billion people comparing fitness data is cool! To protect the individual, aggregated and anonymized data is the way to go here. Aggregated data sets still allow us interesting correlations while providing some level of protection. Although even aggregated data sets can be tricky: A study found that 87 percent of the people in the United States were uniquely identifiable with just three pieces of information: gender, date of birth and area code. Sharing isn’t a simple process, either. As Christopher Poole pointed out in fantastic talk, most current models of online sharing assume that you have one identity and that users just need to be able to determine which bits of information to share. In reality, though, it’s much more complex. Our identity online should be like in the physical world – multi-faceted, context-dependent. It is not, in Christopher’s words, who we share to, but who we share as. This is hard to put in code, but it’s important that we think about, and hard. Context is key in sharing. I might no be willing to publicly share my brain activity, heart beat and genetical information. However, I might be very willing to share parts of either of these with my doctor while in treatment – as long as I can be sure that the doc won’t pass it on to the insurance so they charge me extra for higher-than-average genetical chance of some kinds of cancer or Alzheimer’s. Today, most doctors or even larger clinics aren’t even able to make use of the type of genetical snapshot commercial services like 23andme, although this might change over time. In a radio interview recently we discussed privacy implications of the Quantified Self in general, and of DNA analysis in particular. What is safe to share, what is reasonable to share? I’d like to flip the question around: What is ok not to share? Maybe we even have a duty to share? Think of the medical research that could be done, and the treatments that could be found, if more of our behavioral data was openly available. If even just one major disease could be treated more effectively by discoveries made through body tracking and our shared data, would that not be worth it? It’s a question we can’t answer, but I urge you to think about it. Maybe it’ll make you want to track and share some more. Until then we encourage you all – both users and producers of Quantified Self services – to pay privacy implications the attention they deserve. So that at some point we can stop worrying and start building stuff that helps us be more ourselves. If there’s one area where we can really see body tracking taking off, it’s medical and lifestyle. There’s hardly a week where no new service or app is launched, or a new self-tracking hardware shipped. 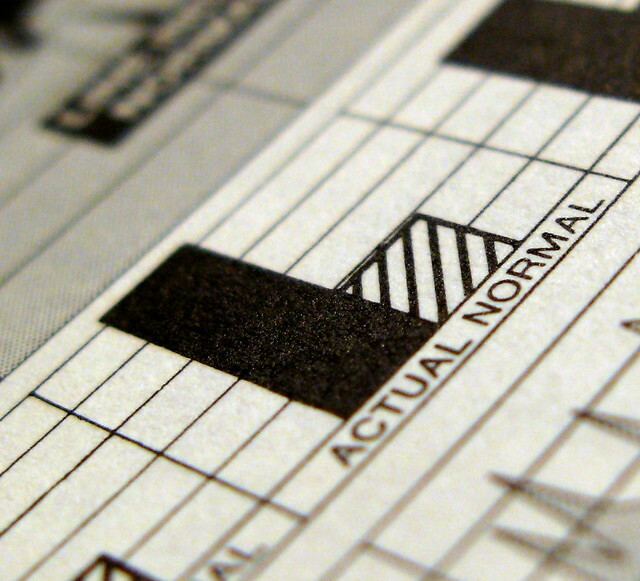 This is the second article in our series on the Quantified Self. The basic idea of the Quantified Self in health and fitness is obvious: Only if you know how you’ve been doing, you can really improve yourself. In other words, you need to look at data over time to see your progress. So if you keep a regular record of how fast and how long you run, you will eventually get to a point where you see the curve going up or down – in other words, where you become fitter or lazy, you see regularities and irregularities, and potentially you see patterns. For example, you might discover that you perform much better in the morning than in the evening, and could plan your workouts accordingly. We know that feedback loops work: This principle has similarly been used in most nutritional treatments for a long time, from the blood sugar testers diabetics use to the point system of the Weight Watchers. Tracking yourself is only part of the deal. It becomes much more magic once you share your data, either with your trusted peers or with the world. This opens up a whole treasure trove of new possibilities: Aggregated, anonymous data might be used for research, or to show fancy statistics like average fitness per city. More targeted, private sharing with your friends can provide encouragement to stick to your ambitious routine even when it’s cold and rainy outside. Never underestimate the power of peer pressure! There is a mega trend at work here that makes all of this particularly relevant to the medical sector: Patients are becoming more autonomous, driven by three factors. One, thanks to Google patients have more access to medical information than ever before. Two, spending cuts on government programs for social and health care increase the pressure for their citizens to take better care of their own health. 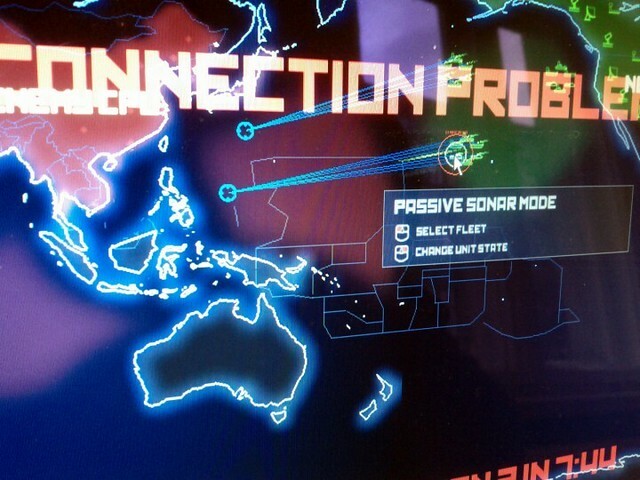 Three, we now have the technology to do this. Sensors are becoming so cheap and ubiquitous that it’s simple and cheap to track your fitness, making it more attractive for those who are motivated to improve themselves. Today, we have more control over our body’s fitness than ever before, and now we have the data to prove it. The Quantified Self is a manifestation of the empowered user/citizen/patient. And let’s not forget: From an economic standpoint, the global health and fitness market is gigantic. Numbers differ vastly depending on which aspect you look at, but in many countries we’re talking billions, and the boundaries between medical and fitness/lifestyle are blurry. The pure size of the market surely is one of the reasons why so many different players are gathering here, from sportswear producers (Nike+) to medical suppliers and gadget producers (Jawbone) to telcos (T Mobile, AT&T) and web startups (Massive Health, Runkeeper). The mere range of devices and services already out there is mind boggling. From scales to food tracking apps to all kinds of fitness & workout trackers to sleep trackers and combinations of any of these, there’s hardly any activity that’s untrackable. And not all these services are geeky and require carrying around odd hardware. For Nintendo’s popular video game console, the Wii, you can get the Wii Fit game that wraps your home workout into a game. The Jawbone Up comes in the shape of a quite neat wrist band. However, not all body trackers are created equal. There are tremendous differences, and let the rapidly growing number of tools not deceive you. This is an emerging field, and it’ll keep exploding for awhile before consolidation kicks in and we’ll truly be able separate the wheat from the chaff. How are the apps different? Explicit vs implicit trackers: Do you have to input data by hand or is it collected automatically? More open vs more closed systems: Can you move your data in and out of the service, or hook it up to other services? It’s too early to tell, but if we should wager on one killer service that will come out on top of the market, it would be Runkeeper. What started as a relatively simple Android app to track your running and share it online has since grown into a massive platform that aggregates all kinds of data, and provides an API for third party developers to build apps on top of that platform. Runkeeper confidently calls this powerful database their Health Graph, and currently it allows access to a wide range of data points like sleep, strength training, diabetes, nutrition, overall health and activities. There are a few other hot candidates for the upcoming months. Massive Health is the brainchild of interaction designer and former Creative Lead for Firefox Aza Raskin. With a designer as co-founder it’s no wonder that the company brings a design twist to health. Their first of a series of apps is The Eatery, a nutrition analysis tool: snap photo of meal, learn about health implications. It’s far from perfect, but if it keeps evolving it will provide an easy, fun way of learning more about the way you eat, and of making better-informed nutritional choices – a feedback loop. With their new Up, Jawbone (otherwise better known for bluetooth headsets) explores new territory. Their stylish wristband is equipped with motion sensors that track movement and sleep. The wristband also serves as an activity reminder that vibrates if you sit still for too long in front of your computer. The data is analyzed online, and the app shares feedback of all sorts through an app on your iPhone. Additionally, the app also allows you to snap photos of your meals, and the Up will run image analysis to give you better information about your meals. Add some social gaming group dynamics, and you have what promises to be a pretty well-rounded offer – and potentially a way out of the dilemma of having to carry around a whole set of smaller gadgets to capture different kinds of data. For a while, we’re going to keep seeing the medical and fitness sector advancing the Quantified Self. They’re the obvious candidates to be trailblazers and innovators: They have the financial backing of a big, only partially tapped market. They offer strong incentives, namely self-improvement, health and fitness. And they come equipped with the right skills, sensors, and experience in tracking body data. Eventually, self-tracking will become ever easier and thereby more mainstream. Nike+, Runkeeper and the Up give us a glimpse of the things to come. Until then we can only encourage you to experiment. Get a scale, an app, or some sensors and start tracking away. It’s good fun and you’ll learn something about yourself. Read the rest of our series about the Quantified Self.